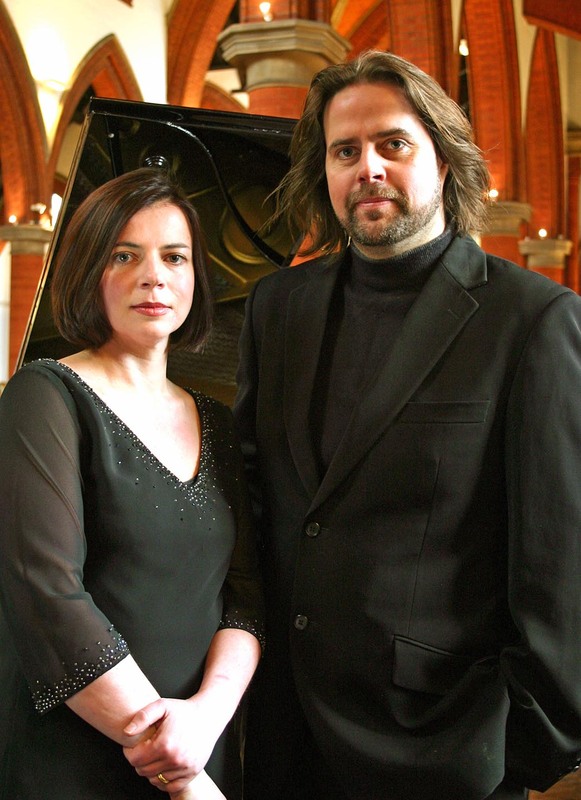 An unashamedly romantic piano concerto will bring together piano soloist Hanja Bantock with her conductor husband Bjorn for a concert with St Albans Symphony Orchestra on Saturday 27th April (7.30pm, St Saviour’s Church, Sandpit Lane, St Albans). When Robert Schumann’s piano concerto received its first performance in 1846, his wife, Clara, was the soloist. Hanja, who will be performing the work for the first time, considers this more than appropriate. “A lot of the really famous concertos were written by or for male pianists with really big hands, which makes them inaccessible for me. In the Schumann, there are no chords that stretch beyond an octave and I think that is because he wrote it with his wife in mind,” she said. The couple both subsequently moved to England, studying at the Royal Northern College of Music. Hanja went on to post-graduate studies at London’s Guildhall School of Music. They used to perform as a piano – ‘cello duo. But working together as soloist and conductor is, both insist, less stressful: “The duo was a success and people liked our performances but we argued over absolutely everything in rehearsals,” said Bjorn. In addition to the Schumann concerto, Bjorn will be conducting Ludwig van Beethoven’s Symphony No 7. A strong candidate for anyone’s list of the greatest symphonies ever written, its rhythmic exuberance led the composer, Richard Wagner, to describe it as “the apotheosis of the dance”. It will be the third Beethoven symphony that SASO has performed in a sequence due to culminate with the ‘Choral’ Symphony in 2015 as part of celebrations for the 800th anniversary of Magna Carta. SASO will also be performing the colourful suite that 20th century Hungarian composer Zoltan Kodaly assembled from his folk opera Hary Janos. A huge orchestra sneeze opens the work: a sure sign in folklore that the story you are recounting must be true. Except that what follows are an old soldier’s increasingly tall musical tales. Completing the programme is Adjustable Wrench, a short work by the contemporary American ‘post-minimalist’ composer, Michael Torke. This mingles classical music forms with ideas taken from jazz, and even rock music.